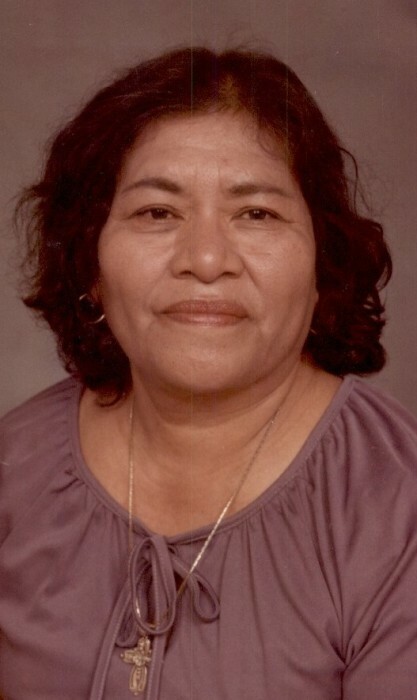 Lorenza “Lore” R. Lopez, 93, entered eternal rest on Monday, January 21, 2019 at Edinburg Regional Medical Center in Edinburg. She was born on Monday, December 28, 1925 in Rio Grande City, Texas to Indalecio Rivera, Sr. and Maria Garcia Rivera. She is preceded in death by her parents, husband; Eliseo G. Lopez, brother; Indalecio (Maria Santos) Rivera and sister; Lilia Cordova. Lorenza is survived by her sisters; Isabel Suarez and Genoveva Leal, numerous nieces and nephews. She will be greatly missed by her family, friends, customers and all those whose lives she touched. Lorenza lived in the community of Lull most of her life. She and her husband; Eliseo owned and operated Lopez Flower Shop in Lull for over 60 years. She was instrumental in the founding of La Capilla San Jose Catholic Church in Lull, Texas where she was also active as a Guadalupana and a member of the grupo Corazon Capilla San Jose. She also helped in annexing the Lull community to become part of Edinburg. She enjoyed playing BINGO and spending time with her family. Her family received friends on Wednesday, January 23, 2019 from 4:00 PM – 9:00 PM with a Rosary prayed at 7:00 PM in the Chapel of Peace at Ceballos-Diaz Funeral Home, 322 East Kuhn Street in Edinburg. Catholic Mass will be celebrated today, Thursday, January 24, 2019 at 1:00 PM at La Capilla San Jose Catholic Church, 4101 North Flores Street in Lull, Texas. Catholic burial will follow to Palm Valley Memorial Gardens Cemetery, 4607 North Sugar Road in Pharr, Texas. Having the distinguished honor to serve as pallbearers will be: David Rivera, Robert “Bobby” Leal, Ricky Suarez, Jr. Brooks Connally, Jacob Garza and Freddy Suarez. Funeral services have been entrusted to Ceballos-Diaz Funeral Home in Edinburg.